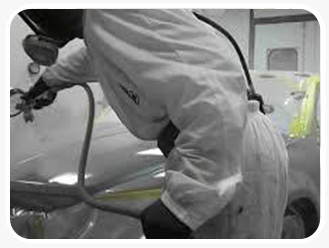 We use Seetal down draft spray booths and baking ovens to provide optimal conditions for your vehicle to bring back the original paintwork appearance. 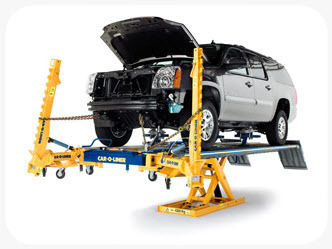 The Car-O-Liner vehicle chassis alignment, straightening and measurement system is recommended by leading car manufacturers as it allows our technicians to re-align heavily damaged vehicles back to their original specifications. 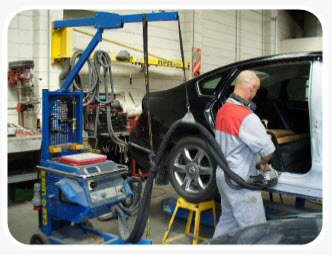 The vehicle is clamped to a large bed fitted with a measuring system and re-aligned to the manufacturers specifications. The high strength steels used in vehicles today cannot be heated to high temperatures. In our workshop we use an `Car-o-liner’ inverter spot welder that welds at cooler temperatures. This is the only recognized method of reproducing structurally sound spot welds that meet manufacturers’ specifications. DeBeer Refinish is a brand of Valspar bv, formerly De Beer Lakfabrieken B.V. 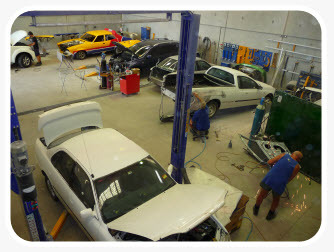 The company was founded in 1910 and has been manufacturing car refinish paints since 1951. In 1980, the present production site at Lelystad was opened and we now deliver to more than 100 countries worldwide from here. 1982 saw the launch of our colour mixing systems, followed by the first water-based products around the middle of the year 2000. With the introduction of VOC legislation for EU member states from the start of 2007, the WaterBase 900 Series system, in combination with the HS420 3000 Series, has now grown into a complete VOC compliant product range. Since 2004 the company has been part of the Valspar Corporation U.S.A. and this represents a major advance in terms of global coverage.